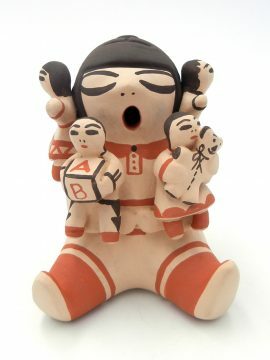 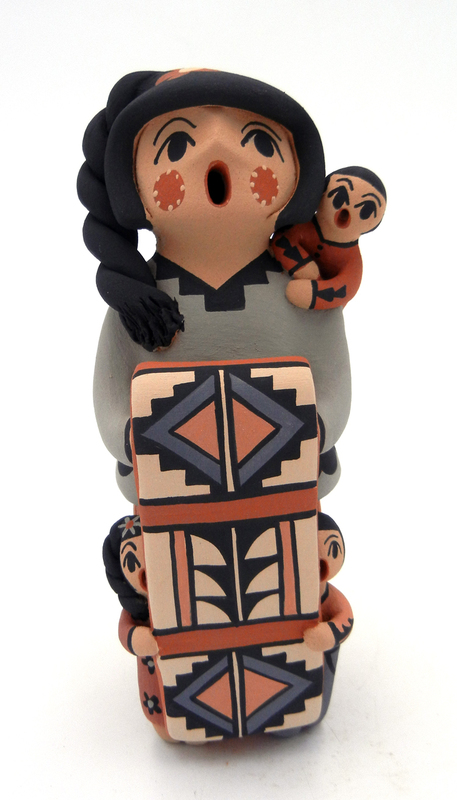 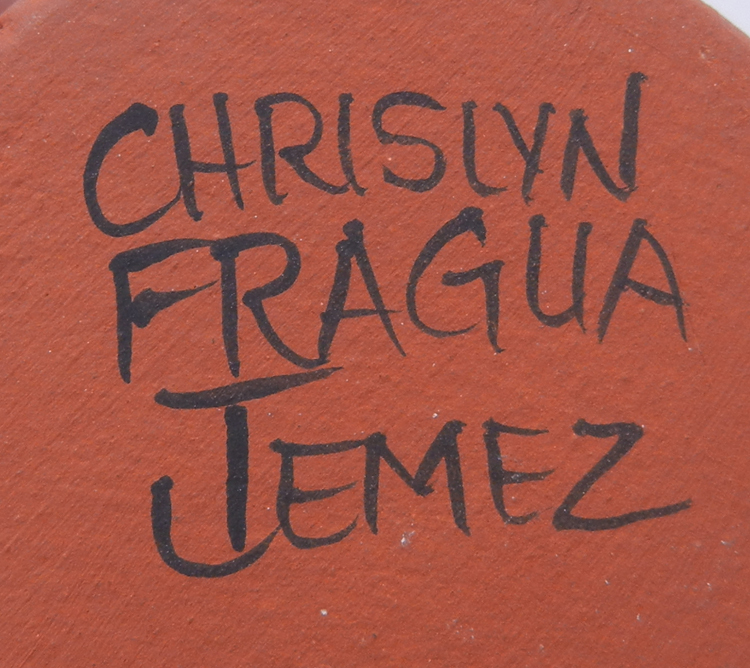 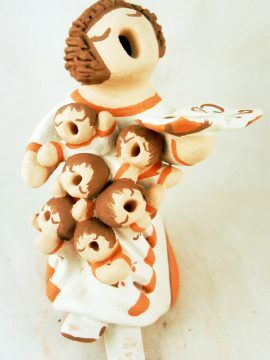 An absolutely adorable piece by Jemez potter Chrislyn Fragua, this traditional storyteller features a woman standing, holding a blanket, behind which two children peek out. 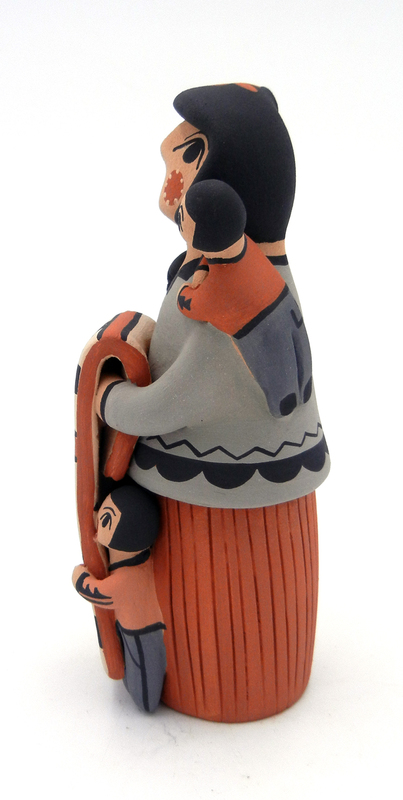 A third child is draped over the woman’s shoulder, and all four are painted in the same color scheme, including red, black, beige, an grey. 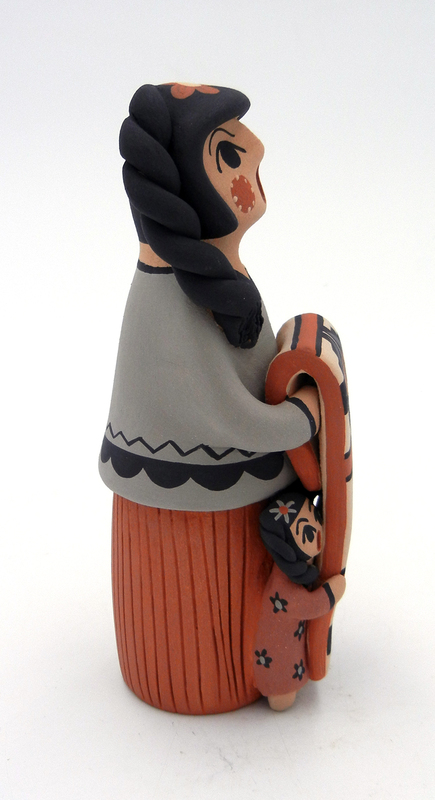 The blanket the woman holds features traditional step and geometric designs, while hear cheeks are rosy and her braided hair is finished with a flower. 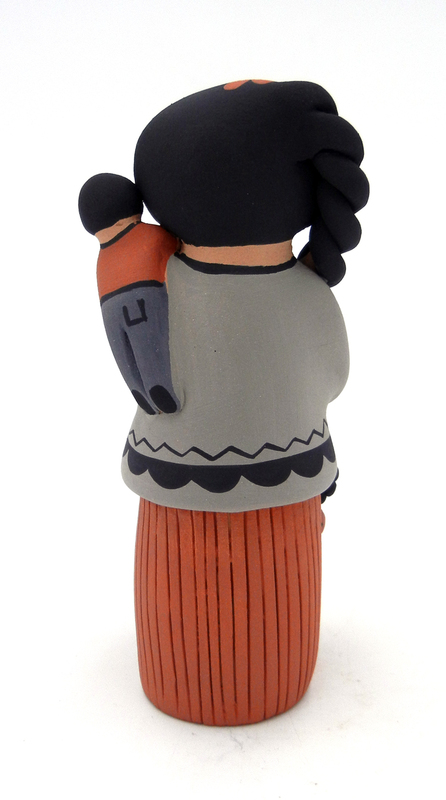 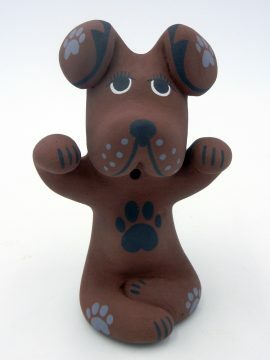 6″ tall x 3″ wide.